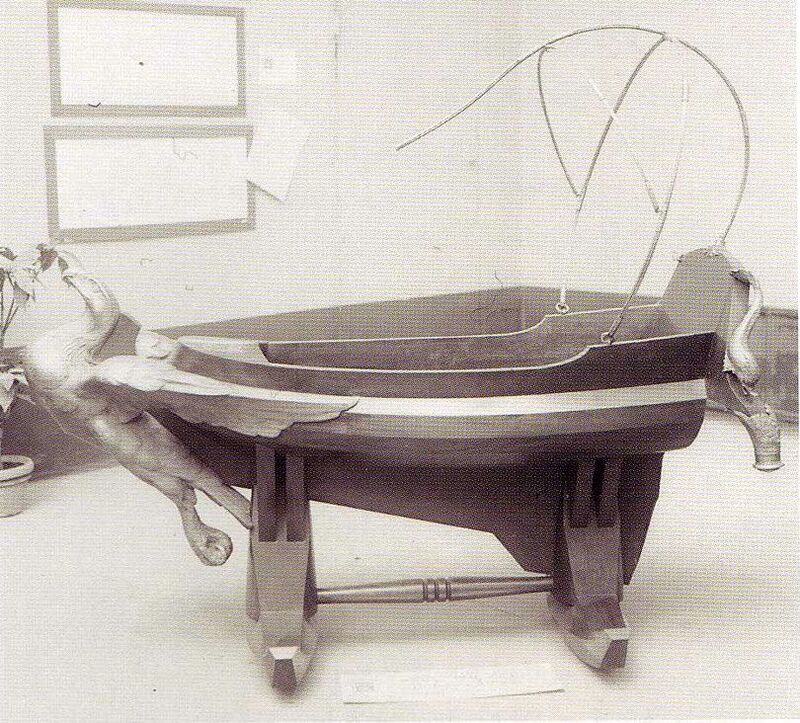 A cradle owned by dictator Benito Mussolini. I have absolutely no use for a cradle. Can this be made in full size? "Made for Il Duce's youngest son, it combines the theatrical gilded eagle prow (a sort of boat on legs) with the solidity of the best ninetheenth-century furniture, from a single block of wood. It must weigh a ton. Presumably the metal strut at the back was to stretch white linen over when Mussolini Junior was out in the sun." I bet this little dict cried a lot. Little Augury- With a crib like that?! And built in sun protection? I'd sleep like a baby.